The kids love doing this graph every morning! It’s great for their reading, and it lets you know who is present/absent without having to take roll. 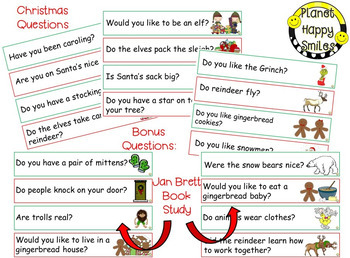 The questions in this graph are all about Christmas and some bonus questions if you do a Jan Brett Author Study. 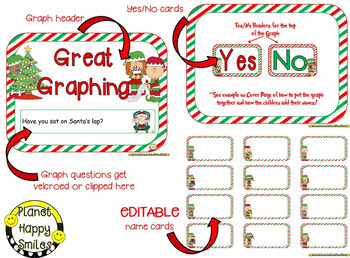 This is a Yes/No Graph set in a Christmas theme. 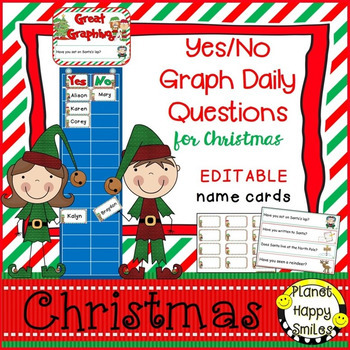 We have other Yes/No Graphs with basic questions in our store! ***The cover shows how we put together and use the graph in our classrooms. We hope this is user-friendly and helpful to you in the classroom. ✱Thank you for shopping with Planet Happy Smiles! We would LOVE for you to follow our store. Followers receive information about new products, special freebies, and updates in our TpT newsletter! ✱ We would love for you to always view the preview before purchasing to make sure this product will meet your needs. If a product does not have a preview, please contact us with any questions. ✱ Feel free to email us at planethappysmiles@gmail.com with any comments, questions, or concerns.We love to connect with you! 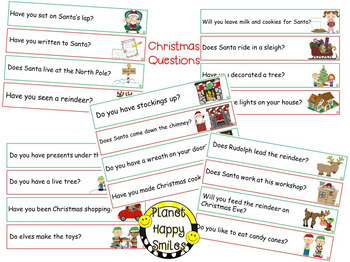 All rights reserved by Karen Crawford and Alison Wynn ©Planet Happy Smiles. This product is to be used by the original downloader ONLY. Copying for more than one teacher, classroom, department, school, or school system is prohibited. This product may not be distributed or displayed digitally for public view. Failure to comply is a copyright infringement and a violation of the Digital Millennium Copyright Act (DMCA). Intended for classroom and personal use ONLY.